Here are some messages from our happy customers. 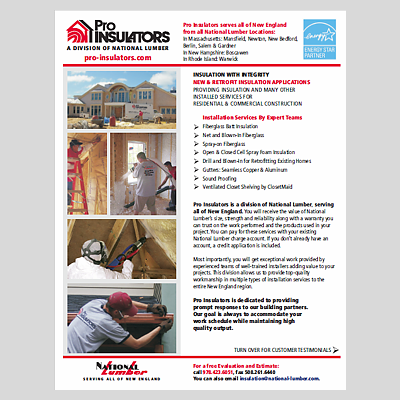 If you would like to share your story of working with Pro Insulators, please email one of the owners, Margie Kaitz at margie@national-lumber.com. If you had a less than satisfactory experience with Pro Insulators, Margie would also like to know about that. We strive everyday to provide exceptional customer service, so we want to address any problems. Look at our overview flyer that includes customer testimonials.